Google today launched Android 4.0 the Next Generation Android OS. 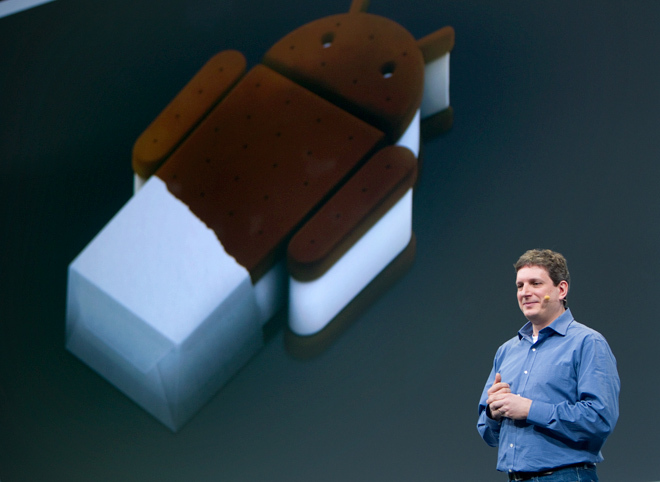 After months of anticipation and leaked software screen shots, Google finally unveiled Android 4.0, also known as “Ice Cream Sandwich,”. In an example of NFC, if you’re reading an article on your browser, tapping your phone to another Galaxy Nexus brings up the same page on your pal’s phone. And Android Beam communication even extends to apps: As Android product manager Hugo Barra showed off in a live demo, if one user is playing a game of Minecraft on his phone and taps his Nexus to a second Nexus, the receiving phone’s U.I. will spawn a download link for Minecraft on Android Market.